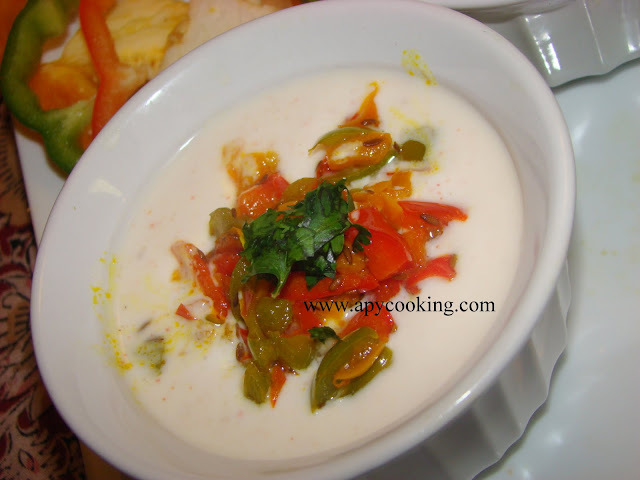 When my mom last visited us, she made this simple, tasty raita using green capsicum. I, however, am a big fan of the beautiful, vibrant colours of bell peppers (I mentioned them here too). So I spiced up the dish a little bit by adding all these lovely colours and some chaat masala. 1 cup finely chopped capsicum (I used a combination of red, green and yellow). Heat ghee /oil. Add jeera. When it splutters add turmeric powder and roast for a few seconds. Add chopped bell peppers and sauté for a few minutes till they become soft. Add salt to taste and mix. Beat curd thoroughly with a fork or whisk. Add chaat masala, chilli powder and salt and mix well. Add the sautéed capsicum and mix. Garnish with coriander leaves. Goes well with rice or chapatis. very new recipe..looks fresh and delicious ! 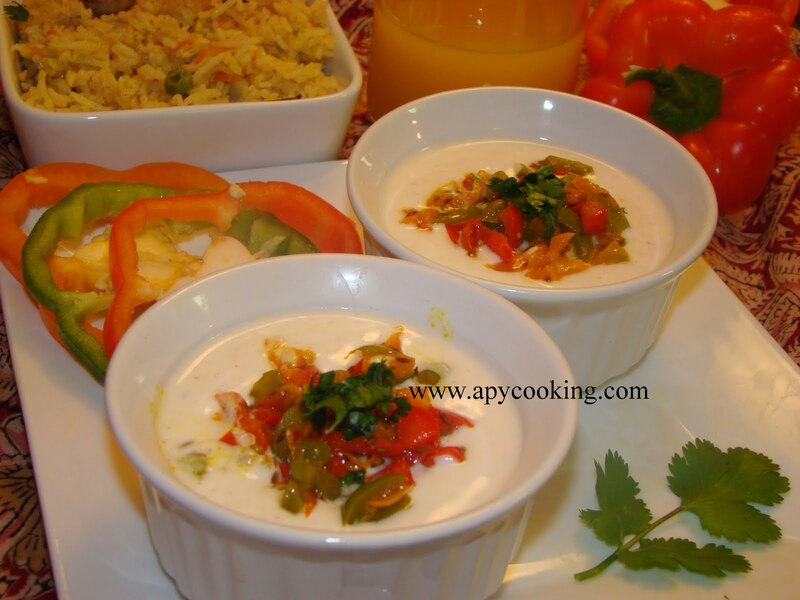 so simple and delicious raita !! Raita looks so delicious and presentation is excellent. Looks heavenly and loved the color combo of nature. Refreshing and delicious raitha.. looks awesome !! Looks so colorful and yummy . Simply delicious,colourful and flavourful raita..
Nice one dear. Happily following u.
I love this raita. That is in my draft too. How are you? Here after a long time. I like this recipe. I take note of using jeera and ghee. I can get the aroma right now. 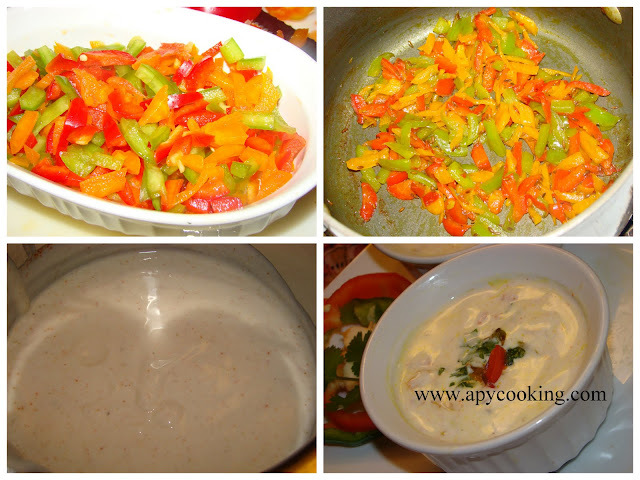 Chapatis go well with the capsicum and bell pepper combination.